A bad wreck threatened to ruin this once-gem S2000. But in the end, that tragedy lead to triumph. It's a story that most of us are more than familiar with. 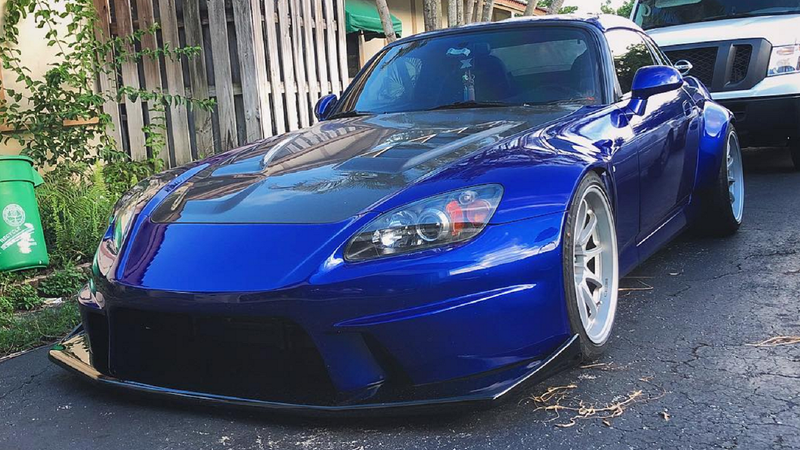 You save up your cash, buy the car of your dreams (an S2000, duh! ), then drive and enjoy it. And soon, you modify it to suit your own individual taste. But the story of S2KI member Lanc3rx is a little different, you see. Mostly because it spans several years and multiple cars! 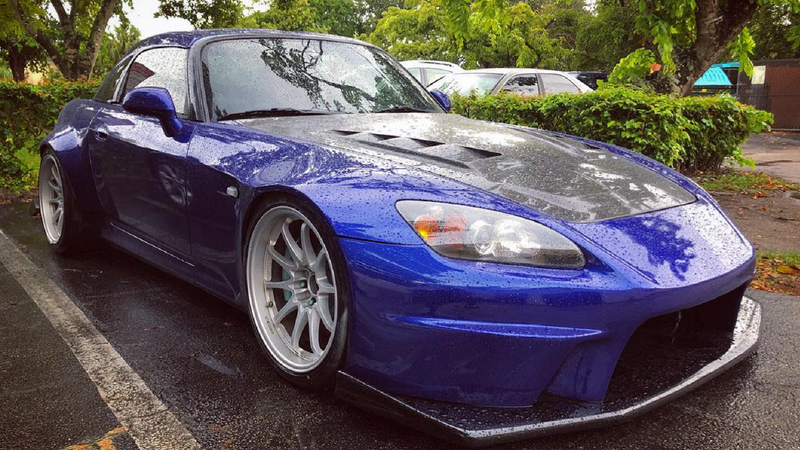 It all began way back in 2006 when the OP purchased his first S2000, a 2002 model. 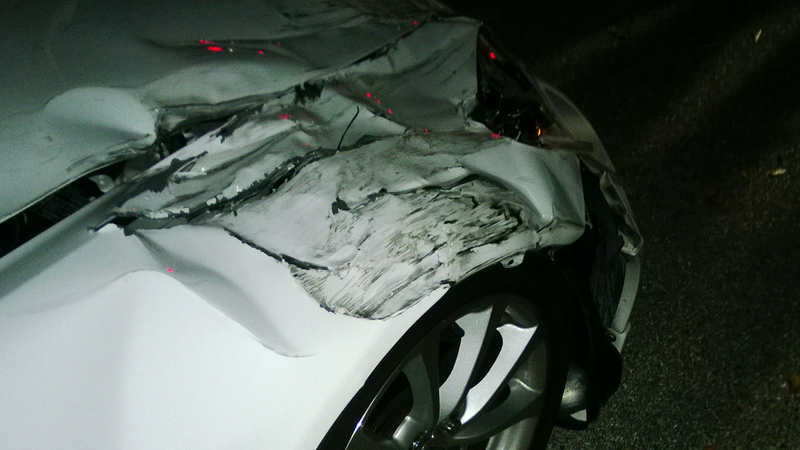 But that ride was sadly involved in an accident that completely totaled it. Despite wanting another one, he purchased a BMW instead. And yet, the Honda itch just wouldn't go away. 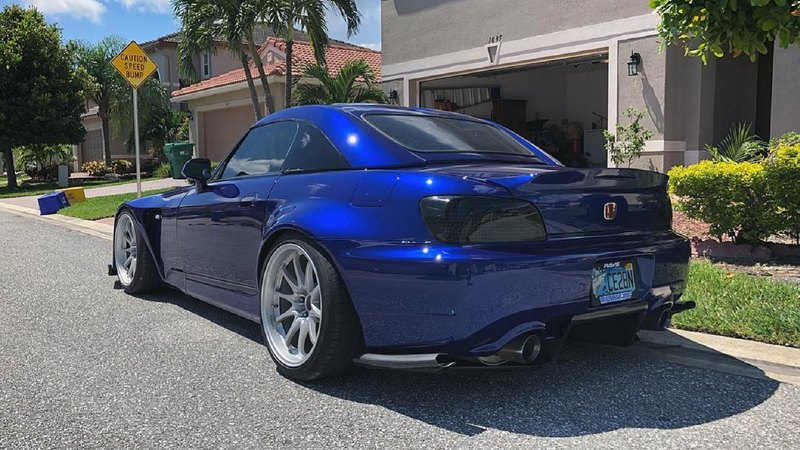 It wasn't until 2012 when he would purchase his second S2000, however, but oh what a clean one it was. 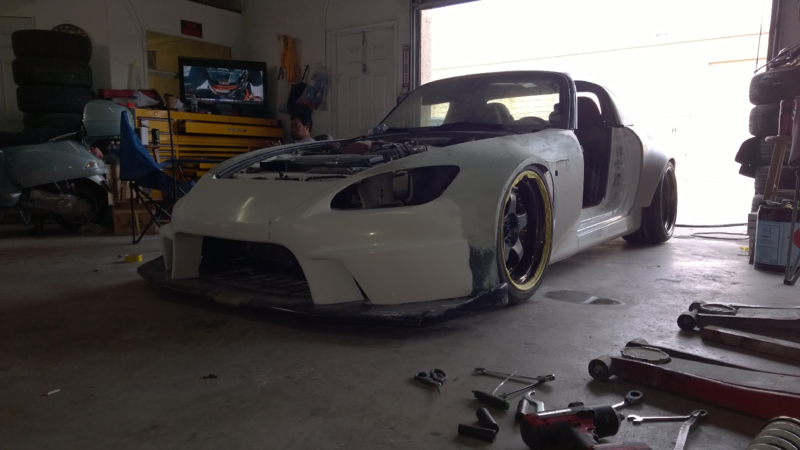 >>Join the conversation about this forum member's awesome widebody build right here in S2Ki.com. At the time, his new 2007 model had a mere 35k miles on the odometer. Thus, the plan at first wasn't terribly extensive. "I wanted to keep things simple and maintain the car the best I could while slowly changing things I didn't like, such as the OEM sound system," he explained. He followed that up by installing a set of HKS Hipermax III Sport coilovers. Those mods served the OP well for a solid year and a half. That is until he got into a heartbreaking accident. Thankfully, it didn't cause any major damage underneath. Thus, the OP planned to just repair the car to stock, minus rolling the fenders with an eye toward the future. But you know what they say about plans. The mods from here began modestly, with a new set of Work wheels. But to make clearance for those, the fenders needed to be extended. And from there, things escalated quickly, as the OP explained. "Now that the front was wide, it was kinda funny to look at from the rear-to-front view. So we decided to make the rear wider as well. Then came the opportunity. It was decided that since we're going to cut up the rear quarter, I wanted to be able to fit wider wheels/tires in the future. This was the beginning of the path to craziness!" 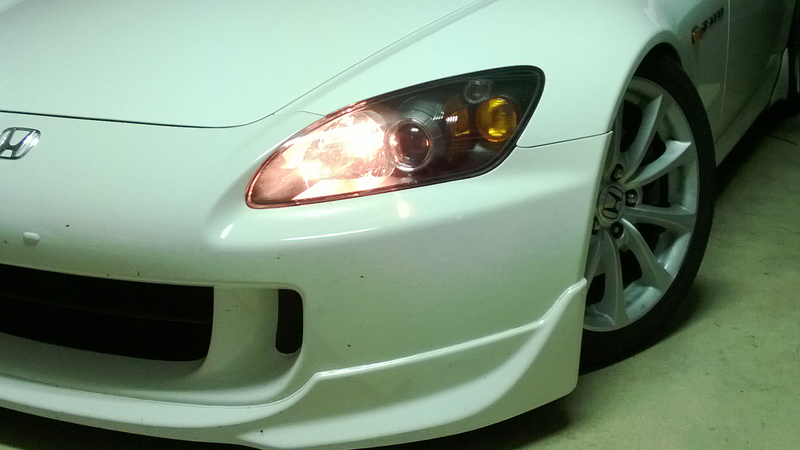 Still, the new plan was to widen this S2000 while also keeping the stock aesthetic. 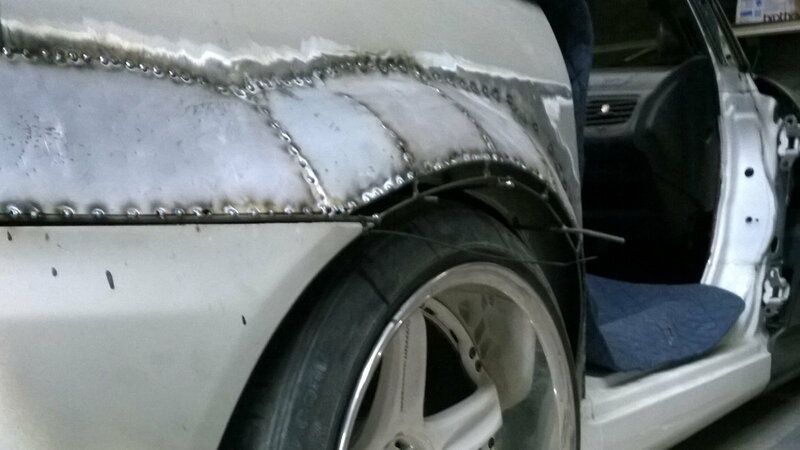 Test fitting began in the rear, and once everything lined up correctly, the welding began. And then the bodywork. 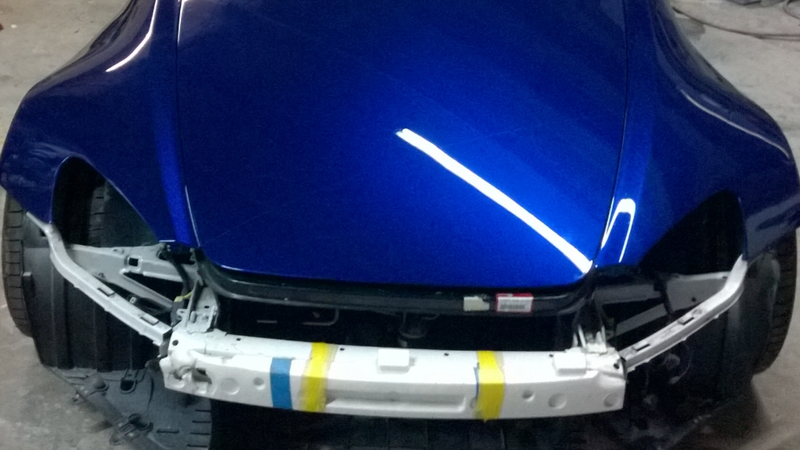 And more bodywork. While this ever-long process continued, the OP turned his attention to other areas. 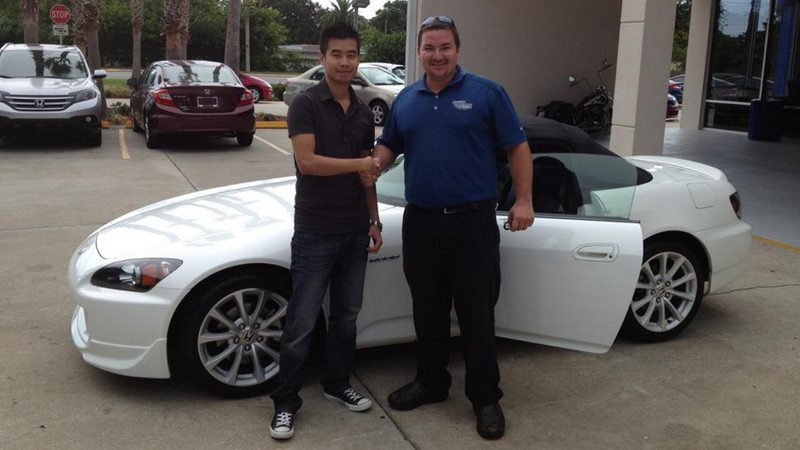 First, he ordered a new Mugen hard top. Then some custom LED taillights, and then, yet another set of wheels. This time, Work Meisters in 18x9.5/11.5 with an anodized bronze lip, matte gunmetal face, and gold rivets. And finally, after months of massaging, bodywork, and paint, it all came together. Seeing the finished product, it's hard to believe that this was once a bone stock car. Let alone one with some nasty front-end damage. But most importantly, this amazing ride is just another example of the extreme passion S2KI folks have for their cars. Lanc3rx's car is the perfect poster child for what happens when you get bit by the mod bug. And in this case, we're glad that the OP did!